Elegant Accents: The best home furnishings at wholesale furniture prices. 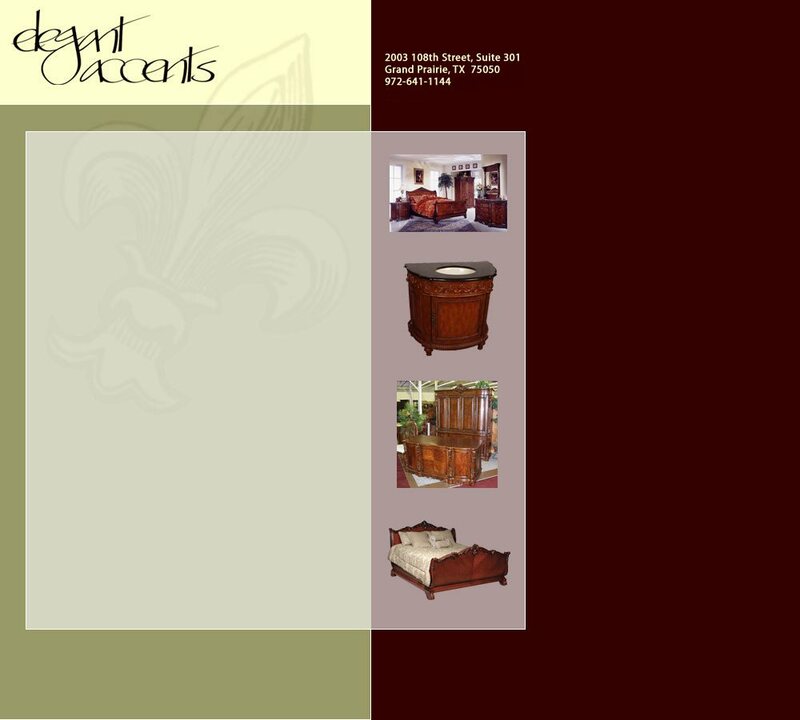 Welcome to Elegant Accents, your online furniture resource. Whether you're looking for that perfect burl wood coffee table to finish out your living room, or you're a home-builder in need of a source for wholesale vanities, our entire staff is dedicated to bringing you everything you need to make your home beautiful. From bathroom vanities and bedroom sets to mirrors and occasional tables, our goal is to provide our clients with the most attractive decorating elements available. Elegant Accents is proud to offer a wide variety of furniture and accent pieces. Our bathroom vanities and bedrooms are made from beautiful birch wood solids and composites. They are machine tooled for high quality and easy assembly. We are also proud to offer a variety of corporate office furniture online, from executive desks to computer armoires. Elegant Accents also acts as a wholesale resource for many home-builders and interior designers. We offer a tremendous selection of bathroom fixtures, as well as complete bedroom sets, living room sets and home office furnishings. Our high-quality antique reproductions are the perfect complement to any home. We purchase our products from only the best wholesalers and manufacturers in the Dallas-Fort Worth area. We also provide our clients with an innovative online showroom where, from the comfort of your own home or office, you can easily view all of our wonderful products. Keep checking back with us because our inventory changes on a regular basis. When your item is received, you must check it for damage prior to the driver leaving. If there is any damage, it must be noted on the freight bill, or a claim will not be filed and we (all parties involved) will not be refunded, and we cannot replace the merchandise. No exceptions. We truly look forward to working with you and letting us help you decorate your dream home.